A Mississauga grandfather is the winner of the $60 million Christmas Day Lotto Max draw — one of two mega jackpots awarded in Toronto Wednesday. “I had the winning $60 million ticket but all the banks were closed, so I couldn’t put it into my safety deposit box until the following Tuesday. 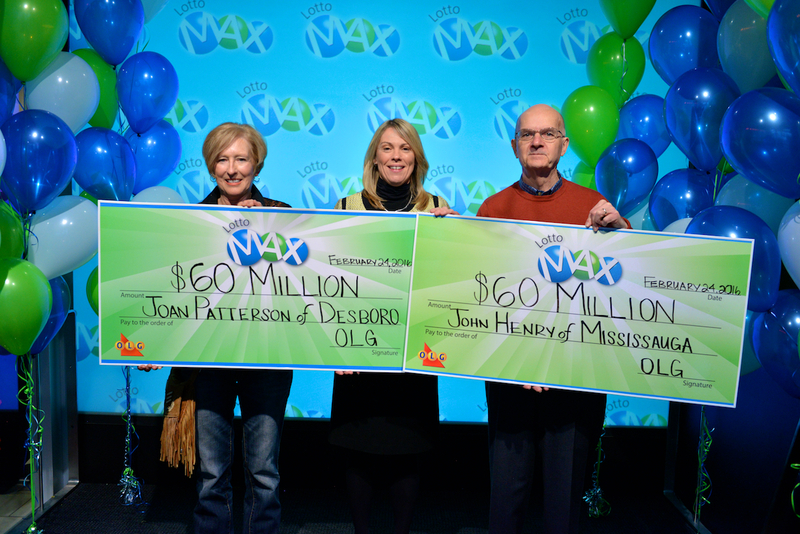 The darn thing felt like a hot potato,” said John Henry, at the OLG Prize Centre where he picked up his windfall. When Henry checked his ‘quick pick’ numbers online on Boxing Day, “I circled every single one then blurted out a few choice words that I won’t repeat,” he said. He said his family needed time to get their affairs in order before claiming the prize, with plans for the jackpot. “There are certain causes my wife and I believe in and are happy to support, including children’s health, children’s sports and mental health initiatives,” Henry said. And a major sporting event might be in the cards. “I’ve always wanted to go to the Kentucky Derby,” he said. Henry, originally from Copper Cliff in the Sudbury area, calls himself a “good ol’ northern Ontario boy” who never thought he would actually win. “My good fortune will go a long way to helping others,” Henry said. Henry’s winning ticket was purchased at R & R Newsstand in Westdale Mall. Another Ontario resident bought her lucky Lotto Max ticket at Grant’s Your Independent Grocer in Hanover. The rancher in Desboro, near Owen Sound, is one happy cowgirl. Joan Patterson scored $60 million from the Feb. 5 draw. Patterson said she’s planning to re-fence her ranch and perhaps add a different kind of horsepower to her routine with a silver Corvette.